I've barely strayed from the original but I thought it was a great design for those smaller stamps in my collection, that rarely get a lick of ink! This little giraffe belongs to Mama Elephant's Nursery Deco set. 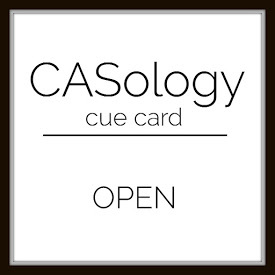 Casology's cue word this week is 'open'. I used one of the larger arrows from TAWS Good Point and coloured it in with Copics, adding a little wooden heart from Studio Calico. Not only does it give directions to my husband on how to open his card, it also indicates that my heart is still open to his love! Bleughhh! On that slightly sickly note, I'll say goodbye! Ha ha! Well, boys do need our direction more often than they'd like to think don't they? :D Love both of these, Claire. That giraffe is adorable and I love the pops of colour on the arrow card. This is adorable - love the repetition of that sweet giraffe! So glad you joined us at Muse this week. Also love the simplicity of your open card - so glad you joined us at CASology! These are two cute cards, Claire. I laughed at your description of the Open card - too cute! And those giraffes are adorable! Oh, this is just so darn cute! What a sweet baby card! Claire, these are both so sweet!! I have a baby card that needs making, and I think I have found my inspiration. And your arrow card - genius! So glad you could join us at CASology this week! 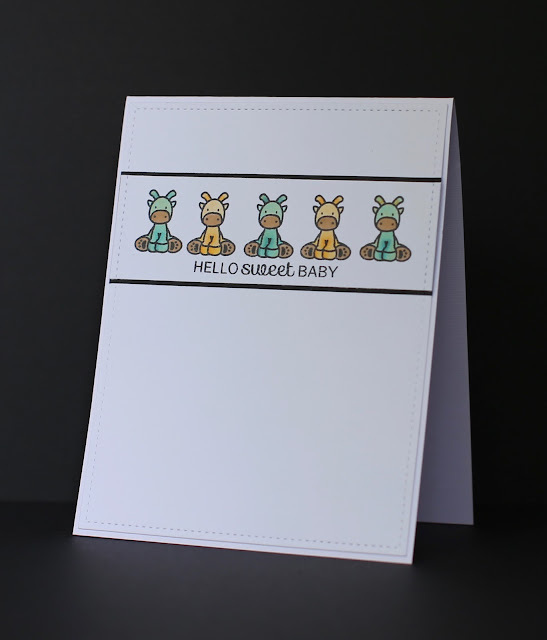 Love your take on my card, those little giraffes are just adorable in a little row. And CAS perfect with your Open card, fabulous. 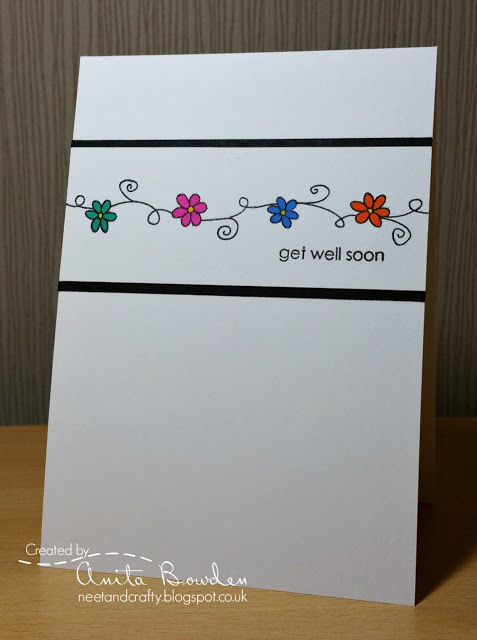 Oh wow--what a fabulous baby card & perfect for the Muse challenge! wonderful cards, both of them. Love those little giraffes all in a row, so cute. Love your take on the muse, LOVE your graphic take on the cue at Casology! Hey Claire!! Both of your cards are super cute and fun. Thank you so much for playing with us this week at CASology.